Hi guys! I hope you had a great weekend, and a fabulous start to the week. At least it's no longer Monday! 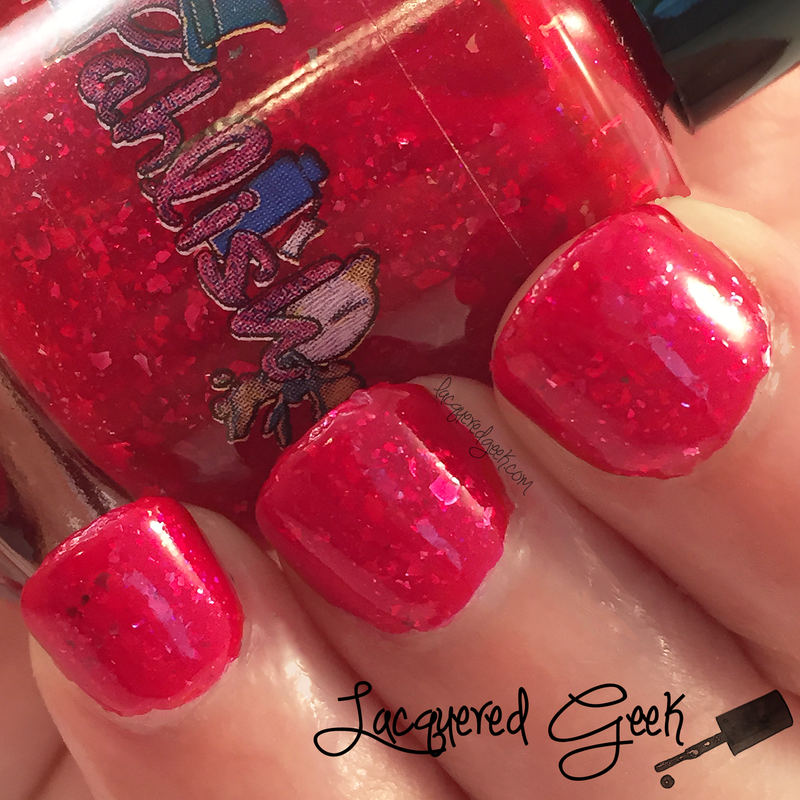 In May, Pahlish launched Through the Looking Glass collection - a collection based on Alice in Wonderland. I only picked up one from the collection, despite them having the most adorable custom labels. The collection was heavy on the pastels, and for some reason I just wasn't feeling in a pastel mood. But aren't these labels so cute?! The Sea is Boiling Hot is bright cherry red jelly with silver flakes and purple shimmer. 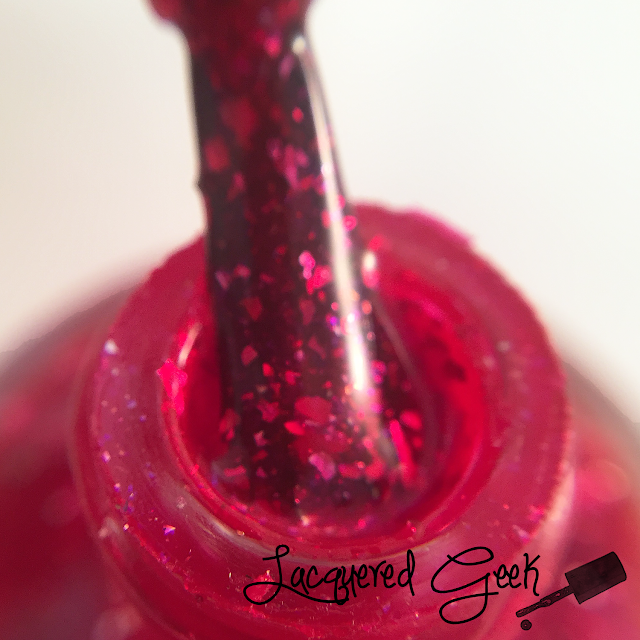 In most light, the silver flakes look red because of the jelly polish but when the light hits them, they shine. I used three thin coats here, but two thicker coats would have worked just as well. You can really see the purple shimmer in this macro. Isn't The Sea is Boiling Hot just so juicy and squishy? 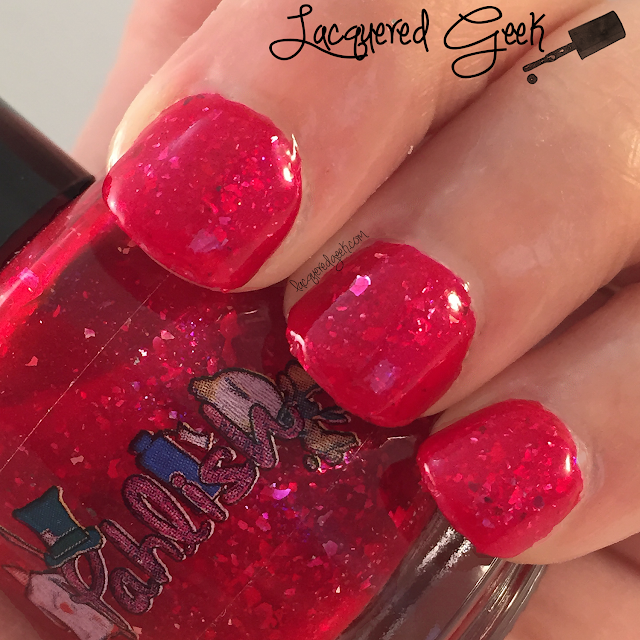 Did you pick up any polishes from the Through the Looking Glass collection? Those flakes! That shimmer! Gorgeous! This is gorgeous! I love your macro shot! 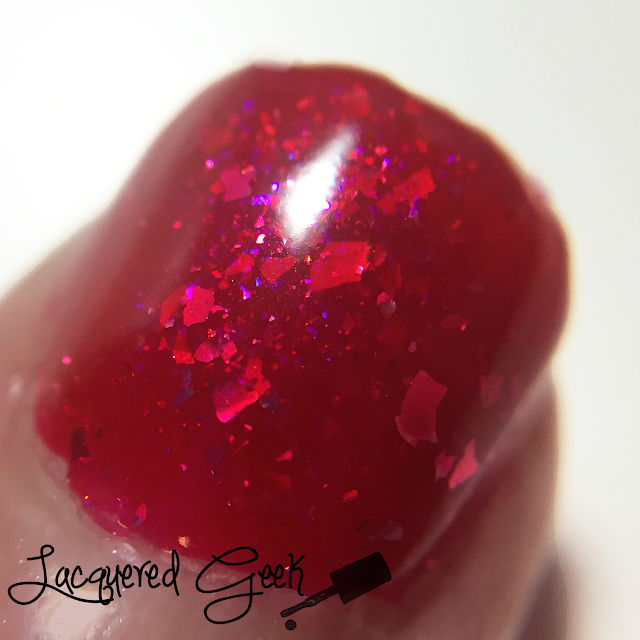 I looooove the flakes and shimmer in the jelly base. This is so fabulous on you! Whoa this looks so squishy! Especially love the shade of red with the shimmer.